Dr. Gabriel Trujillo is the superintendent of the Tucson Unified School District. He is a lifelong educator currently in his 23rd year of service in public education, starting as a teacher at both the elementary and secondary levels in the areas of English as a Second Language, English Language Arts, and later moving into school and district level administration. Dr. Trujillo has served in numerous administrative roles including assistant principal, principal, human resources director, and as an assistant superintendent here in the Tucson Unified School District. For his work as the principal of Trevor G. Browne High School in the Phoenix Union High School District, the largest comprehensive high school in the city of Phoenix with over 3,200 students, he was recognized as a Rodel Foundation Exemplary Principal finalist in 2014 and was awarded the Phoenix Union High School District's Administrator of the Year award in 2015 for the impressive academic turnaround demonstrated by Trevor G. Browne High School under his leadership. 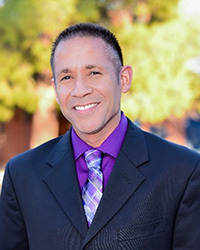 Dr. Trujillo accepted his current position as superintendent of Tucson Unified in March of 2017, where, after two years of service, the district demonstrated impressive academic gains as a quarter of the district's schools increased their letter grades for the 2018-19 school year, student achievement in math and English Language Arts increased by 5 to 8% for all tested grade levels on AZMERIT, and dual enrollment and advanced placement courses nearly doubled for the district's high school students. Under Dr. Trujillo's leadership, the district has increased the number of fully integrated schools to almost 30, has been granted partial release from court supervision in its long-standing Desegregation Order, has increased instructional spending to over 51%, has implemented extended day programming for credit deficient students at all of the district's high schools, and has implemented an aggressive expansion of music education and career and technical education programming throughout the district. As the leader of Southern Arizona's largest school district and Arizona's 2nd largest public-school system, Dr. Trujillo serves about 45,000 students and their families and oversees 89 schools and programs along with district departments and personnel. An Arizona native and long-standing advocate for public education, Dr. Trujillo is a product of the Peoria Unified School District and a proud graduate of Arizona State University, where he earned both his Master's and Doctoral Degrees in Educational Leadership and Policy Studies. He has a commitment to academic success, access, and opportunity for every child, and a vision of excellence in customer service and family and community engagement for the Tucson Unified community. As Tucson Unified's superintendent, Dr. Trujillo has been recognized by the Arizona Music Education Association as its administrator of the year in 2018 for his support and commitment to the expansion of music education throughout the district and has been elected to serve as the President of the Arizona Association for Latino Administrators and Superintendents. Topics: Thank you support staff, neutral dress code, Johnson grade 3, A+ Carrillo, and more! The ten most recent episodes of #District1thePodcast are available through this site and on our SoundCloud channel. For previous episodes, please email your request to media@tusd1.org with specific topics you are interested in.